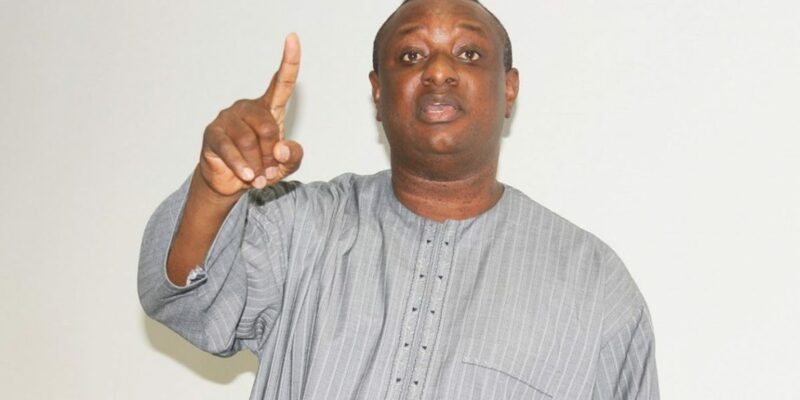 Director of the Buhari Campaign Organisation Mr. Festus Keyamo (SAN) has alleged that most bigwigs in the People’s Democratic Party (PDP) were involved in the oil subsidy scam which dogged former President Goodluck Jonathan’s administration. He said this on a Lagos-based national television programme, yesterday. Keyamo also disclosed President Muhammadu Buhari is not paying oil subsidy as it was with past administrations. He did admit, though, that the Buhari-led government is only paying “premium. “What happened under the PDP government was that they were paying for products that did not land at all. That was the scam that was happening. It was fraud, the greatest stealing in the history of this country happened under them. “All the PDP bigwigs were all involved in this subsidy scam. Then, you saw that many of them refunded money. As I said, they were paying for products that did not land at all, they will tell you they have brought product and you have to pay subsidy on those products. He said at the point when oil was $28 to $30, government was not paying subsidy, but “the difference occurred when oil prices went beyond $43 per barrel, because that was the benchmark. As it rose beyond $43, the delta started, not subsidy. We started to pull away from N145. “So, the landing cost came to N203/N205 and we are still selling for N145 and the president said you cannot suffer the masses. Now, how do they cover it? Not subsidy. Keyamo also described Nigeria as the best-performing economy in Africa. “I need to remind Nigerians about the Gross Domestic Product growth. Of the 11 countries that went into recession around the world, Nigeria has exceeded all of them, in terms of GDP growth. None of them has crossed 1.4 to 1.5 percent, Nigeria is doing close to two percent GDP growth right now. “Let us get that one clear. 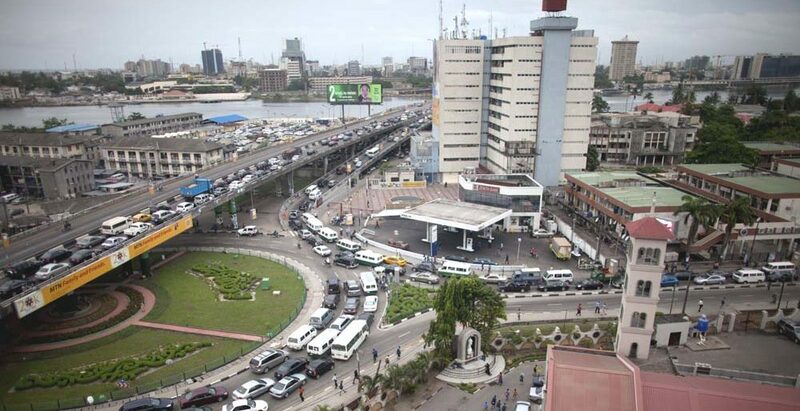 Forbes Africa has rated Nigeria as the best-performing economy in Africa. The results came out two-three weeks ago; we are the best-performing economy in Africa,” he reiterated. But, the PDP fired back. PDP National Publicity Secretary, Kola Ologbondiyan, accused Keyamo of defending acts of corruption. Ologbondiyan told Daily Sun that rather than the PDP, leaders of the opposition party are actually responsible for fuel subsidy scam. “If, indeed, he said that, Festus Keyamo is speaking off the charge. Is it PDP leaders that put N58 tax on Nigerians for a litre of PMS? How much were we buying PMS before and how much is it sold now? So, it is totally off the charge to say that PDP leaders are responsible for subsidy scam. “Didn’t they tell Nigerians that there was no subsidy in 2014? “How much have they paid on subsidy; between 2015 and this year. And, how many did they claim are the number of vehicles using PMS, today, in Nigeria? Keyamo said this during an interview with one of our correspondents on Tuesday. Keyamo said, “Firstly, the myth about Atiku’s business acumen is one of the biggest and fattest lies ever sold to Nigerians. He has never run a successful business. He only has one company, which is a cash cow through which he invests in other things and that company is known as INTELS. The senior advocate added, “He has managed an economy effectively even in the time of economic recession occasioned by a terrible crash in oil prices. Under him, foreign reserves increased; he inspired investors to invest in critical infrastructure. Festus Keyamo said with Atiku’s emergence, Nigerians would choose between a candidate with credibility crises and one with an unblemished record. Personal Assistant to President Muhammadu Buhari on Social Media, Lauretta Onochie, has declared that Atiku Abubakar’s emergence as Peoples Democratic Party (PDP) candidate for the 2019 election has made the job of the President’s team easier. Also, the spokesman of Buhari/Osinbajo Campaign Organisation, Festus Keyamo, said with Atiku’s emergence, Nigerians would choose between a candidate with credibility crises and one with an unblemished record. Both presidential aides took to the social media to tackle the former vice president shortly after he emerged the presidential candidate of the Peoples Democratic Party for the 2019 elections. Abubakar was earlier in the day declared the winner of the party’s primary which was held in Port Harcourt, Rivers State. Onochie through her verified @laurestar handle alleged that Atiku ran away from the All Progressives Congress to avoid contesting against Buhari in the primary. 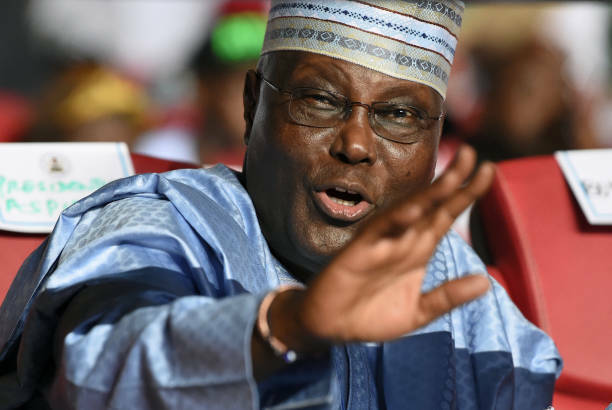 According to her, the fact that Atiku cannot go to the United States of America nor represent the country at the United Nations, has made his defeat at next year’s polls easier. She also alleged that Atiku spent more money than his co-contestants before he could emerge winner of the contest. She twitted, “Alhaji Atiku Abubakar outspends Saraki, Tambuwal and others, wins the PDP presidential ticket for 2019. “Congratulations Alhaji Atiku Abubakar. You have outspent the rest. You have a new toy. But believe it, it is only a dream. “You ran away from facing President Buhari in a primary, now you’ll meet him at the presidential elections. Ntor! “14.8 million people made President Buhari their candidate, 26,584 people made Atiku their candidate. “Bearing in mind that you can’t go to America to represent us at the United Nation, nor meet with Nigerians in America, our job is made easy. Keyamo posted the message on his verified Twitter handle, @fkeyamo, “We welcome H.E, Atiku Abubakar to the 2019 campaign trail. “Nigerians would now decide between a candidate with a history full of credibility crises, damning reports on corruption, both home, abroad and from his former boss and another candidate with an unblemished record in public service. Onochie also responded to Keyamo’s tweet, saying, “Spot on. Nigerians have new trade currencies. “Credibility and integrity. Our candidate, Muhammadu Buhari has both in abundance Nigerians will trade with him. Radical Pastor and General Overseer of Omega Fire Ministries Worldwide, Apostle Johnson Suleman, has demanded that a legal practitioner, Festus Keyamo, should retract all publications, and an apology to be published on major social media networks. He also demanded N1bn over alleged blackmail and injuries inflicted on him, including online video clips, during his alleged amorous relationship with a Canada-based stripper, Stephanie Otobo. THE PUNCH reported that Stephanie Otobo had alleged that she suffered emotional stress from Suleman, following a sour relationship including a promise of marriage. But the cleric in a letter by his counsel, Osa Director, obtained by journalists on Thursday evening in Abuja, entitled: “Allegation of professional misconduct and unethical practices”, said Keyamo’s action was inconsistent with Section 1 of the Rules of Professional Conduct For Legal Practitioners 2007. According to him, instead of gathering facts and evidence before a court of competent jurisdiction for adjudication, Keyamo resorted to alleged blackmail and intimidation through the media, both traditional and social media. He said, “Furthermore, you grossly and recklessly maligned our client, saying, “these men of God are not what they claim to be, we have a duty to protect the public. Many of them are fake and fraudsters. You will see the video very soon in the next few minutes.” True to your threat of trial publicity stunts, the video clips have flooded the social media networks. “We believe your conduct is inconsistent with the virtues and rules of conduct of the legal profession. It smacks of indiscipline and disdain for the judicial process. Therefore, we demand a retraction of all your press statements and an apology to be published on the major social media networks.